A report from the Wall Street Journal offers new details on Google's expected shift in Android tablet strategy, and it's reportedly much more than a single Nexus tablet. The move is being likened to the Nexus One launch, with Google at the center of the distribution and support system for a line of branded tablets. The Nexus One might have been too much for Google to handle, but the search giant is apparently moving full speed ahead this go around, which includes plans to open its own online store where it will sell the rumored tablet line. 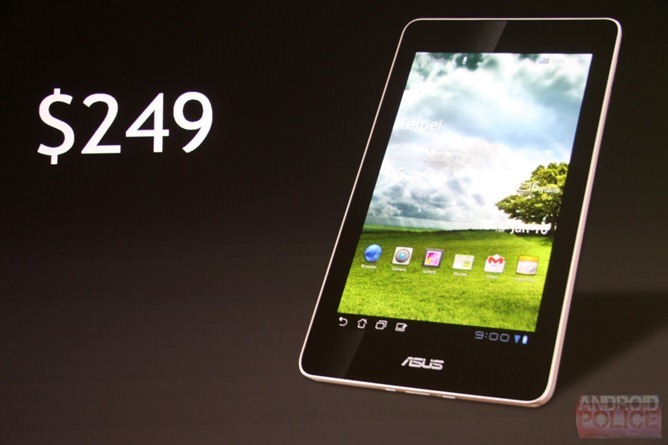 Back at CES 2012, Asus teased a magical $250 Tegra 3 Android tablet, but we haven't heard anything concrete since then. There have been rumors that Asus scrubbed the tablet, known only as the 370T, in order to build the Nexus tablet for Google. Sources are telling the Journal that Asus tablets might only be part of the line up, with devices from Samsung and HTC involved as well. When Google completes its Motorola acquisition, we may see a true Xoom successor in this mysterious tablet marketplace, too. Selling tablets directly could make sense for Google in a few ways, whereas selling a phone did not. Android phones took off quite well at the carrier level, but consumers have not been receptive to buying tablets on contract. Without that incentive, the carriers are unlikely to put the advertising weight behind those devices. Selling the Nexus One with restrictive carrier tie-ins was one of the aspects that kept people from buying the device. Google doesn't have to worry about that with Wi-Fi only tablets. More generally, Google is just in a different place two years after the Nexus One. The company has more experience in marketing and advertising than it once did. The heart of the ongoing Nexus tablet rumors has been the price, which is supposed to be as low as $200. Other devices in the possible Google tablet store wouldn't be so cheap, but Google might subsidize them to better compete with the Kindle Fire. If the Journal is to be believed, the initial push for the next version of Android, codenamed Jellybean, could be part of the tablet store launch. Multiple reports have now pegged mid-2012 as the unveiling of Jellybean. None of this means you won't be able to get Android Jellybean tablets in stores, but an online tablet shop could change the game completely. Note from Cam: This is Ryan's first post here at AP. Welcome him!